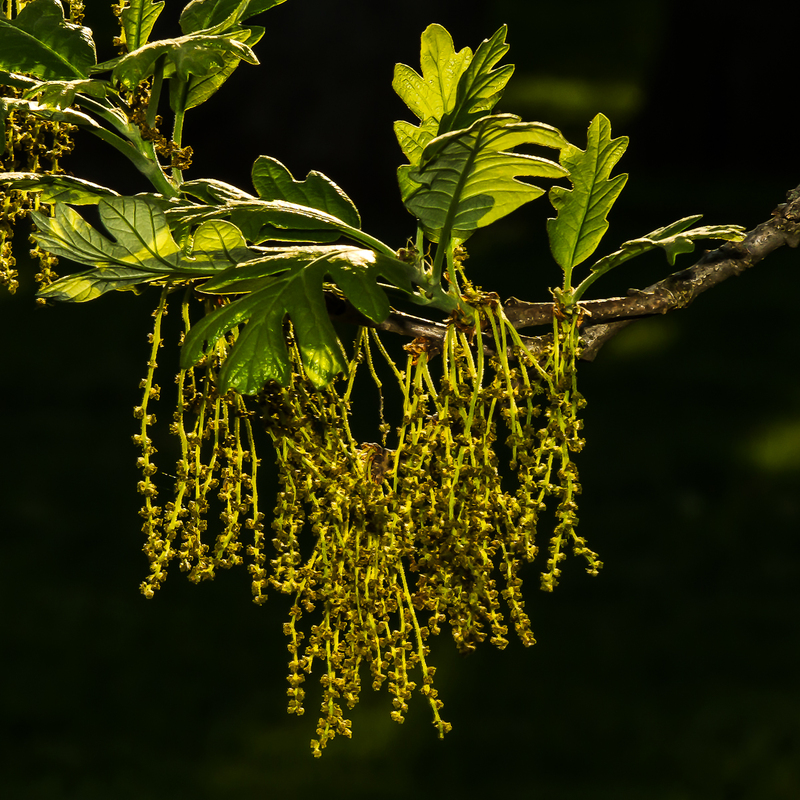 Bur oak is known to botanists as Quercus macrocarpa, from the Latin and Greek words for large-fruited oak (quercus - oak, macro- large, καρπός-karpos-fruit). It has the largest acorns of any oak tree. It is in the white oak group. 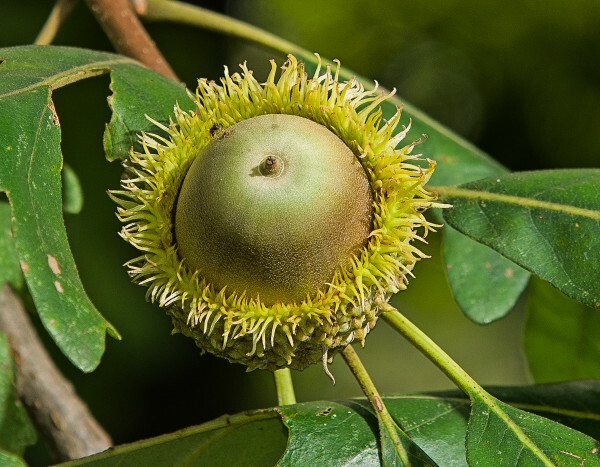 The common name, bur oak, refers to the fringe of hairs around the cup of the acorn. Other names are mossycup oak and burr oak. 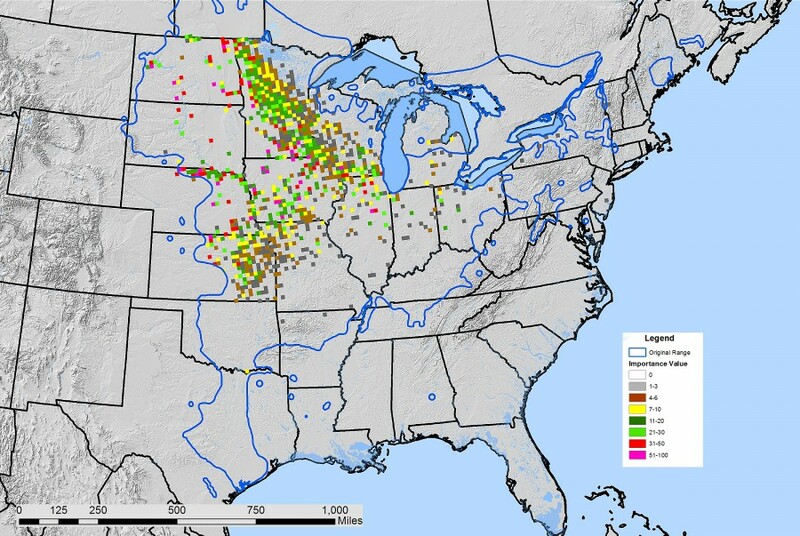 Range: A large range with the greatest abundance in the Midwest. The Bluegrass is in the southeastern edge of the range, and the importance value is low. Habitat: Intolerant of shade, although young trees may hold on for a few years in the shade of other trees. Common in prairies and oak openings, or along creeks and rivers where there are openings in the canopy. Often found on soils derived from limestone, though it is not an indicator species for limestone. Life History: Relatively slow-growing, very long lived species. A mast-fruiting species bearing heavy fruit crops at irregular intervals. 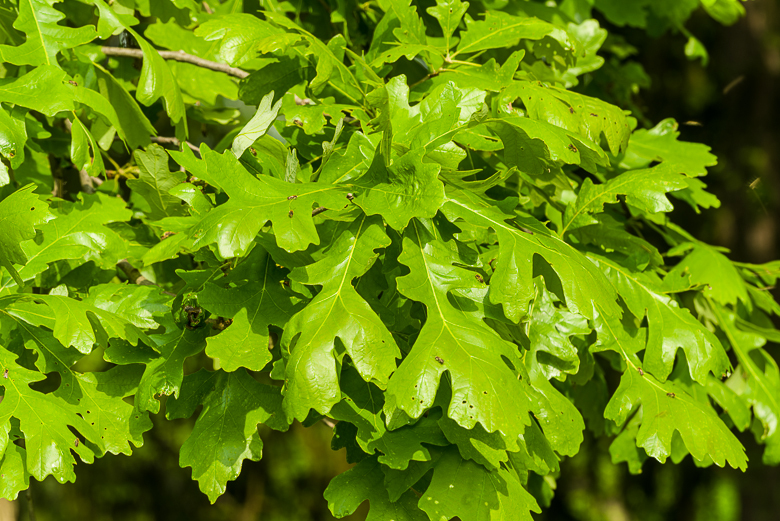 The acorns are the largest of any oak, and long-distance dispersal is limited. 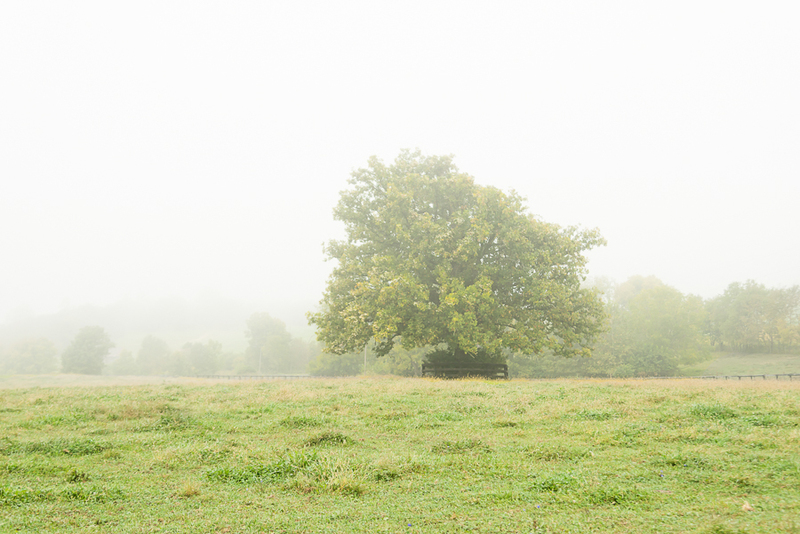 Oldest known bur oak is 402 years, though it is likely that there are older trees. Bur oak is well adapted to fire with its thick bark. The large acorns allow an extensive root system to develop quickly, allowing the seedlings to survive drought and fire. 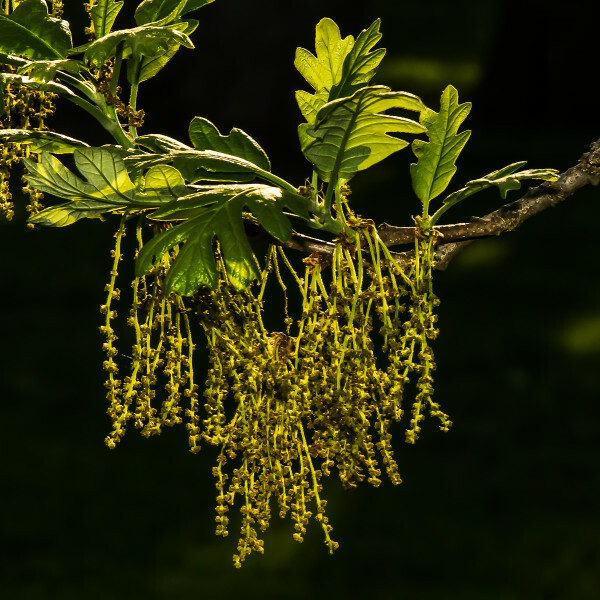 Form: Bur oak has a very characteristic form, with a stout, usually short main stem and a very large irregular canopy with very stout branches. Older trees commonly lean. Small branches often have ridges of corky bark, making them appear especially prominent in winter. Uses: The wood is indistinguishable from other white oaks and is sold as such. Bur oak is a very important ornamental, but only suited to large sites with uncompacted soil, such a parks, golf courses and large yards. Largest known bur oak: Posey County, Indiana, 294 inches circumference, 99 feet tall, 128 ft. crown spread. Largest Bluegrass bur oak: Woodford County, KY, 288 inches circumference, 102 feet tall, 91 foot crown spread. 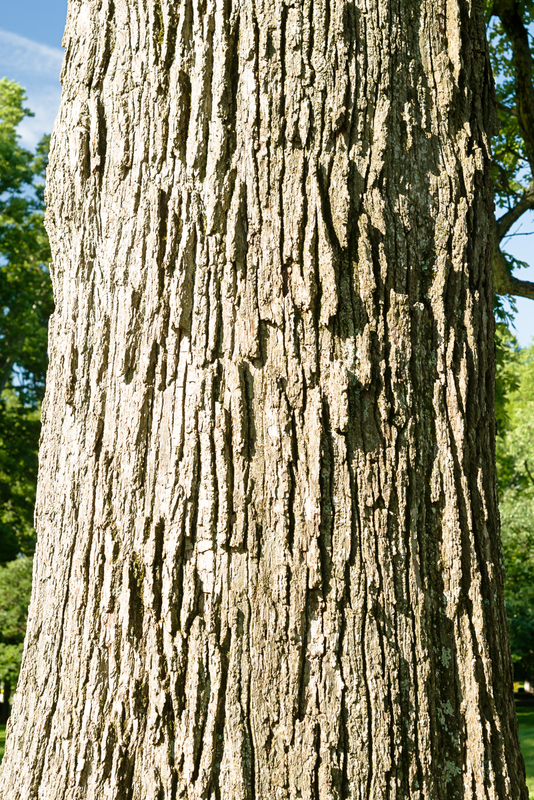 Hybrids among white oaks are common, and in the Bluegrass we occasionally find chinkapin oak-bur oak, white oak – bur oak and swamp white oak-bur oak hybrids. Range and importance value of bur oak.